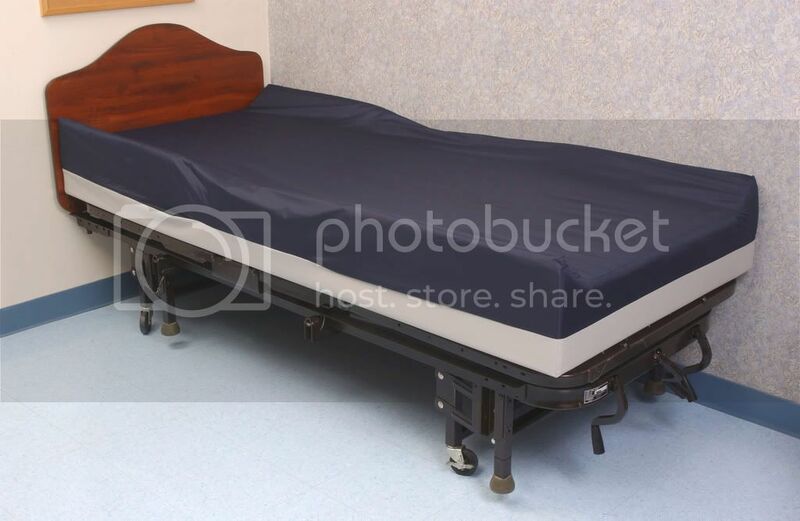 When it's time to replace your facility mattresses consider the benefits of a TCP Mattress. Tender Care's Advanta Form Mattresses provides 5 distinct pressure relief zones to allow varying pressures on different parts of the body reducing friction. 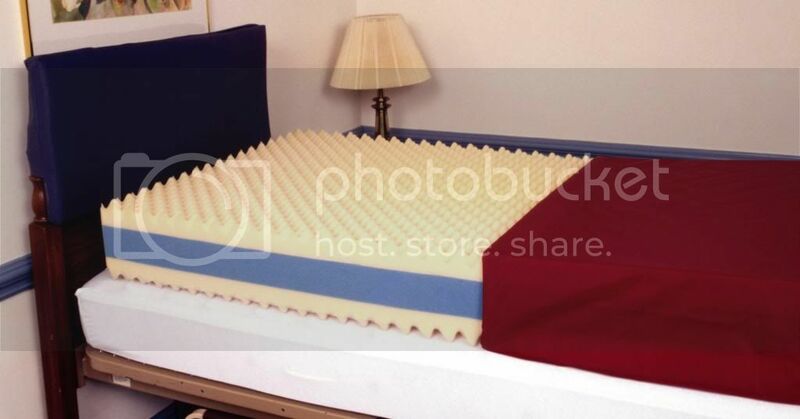 The unique design allows the mattress to be turned from head to foot allowing a longer mattress life. These pressure zones not only provide therapeutic improvements, but adds to the comfort, support, and improved air flow under the patient. Firm side rails help keep the patient centered and give added support for patient entry and exit as well as patient transfer. 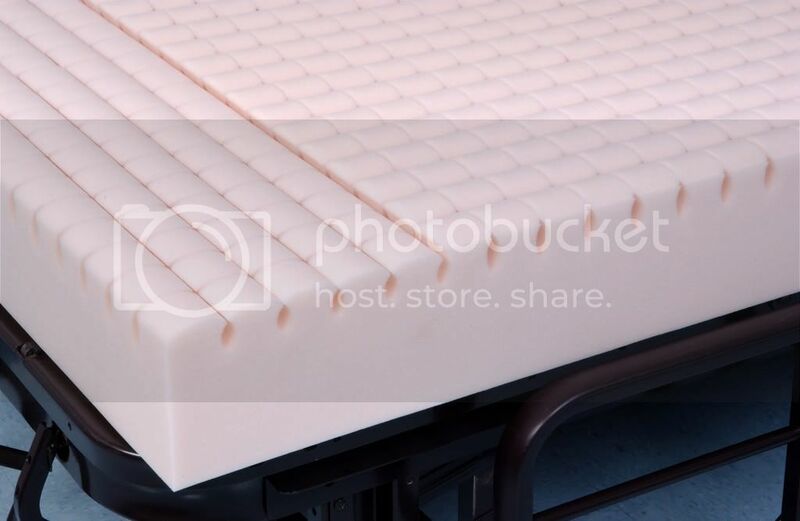 Contour slots on the bottom side of the core allow flexing of the mattress for use on electric beds without splitting or tearing. Uniquely Designed to provide maximum comfort and support with added air flow under the patient. 5 Distinct pressure relief zones providing varying pressures on different parts of the body. Meets or exceeds all flammability requirements. Cut and slotted on bottom of core to allow flexing without tearing. Resists liquids, body wastes, blood, and hospital medications. Wipes clean with warm soap and water. Available in 75", 80" or 84" length. TCP Easy-RestTM Mattresses are economical pressure reduction mattress for low to medium risk prevention that balance comfortable protection far better than those with inner springs. When you switch to an Easy-RestTM Mattress you won't need to buy mattress overlays any more and patients will find it easier to sleep. The Easy-RestTM Mattresses include pressure-reducing features not usually found in an economical product. Specifications: Thickness: 6", Width: 35", Lengths: 75", 80", or 84". Easy-Rest PR Mattress (ER1175, ER1180, ER1184) with a sloped heel section that carries a 3-year Warranty. Easy-Rest DSC Mattress (ER1275, ER1280, ER1284) is a dual-sided convoluted mattress that carries a 5-year Warranty. Easy-Rest Multi-Layer Mattress (ER1375, ER1380, ER1384) consist of three layers of high-density HR foam with the top layer having a convoluted surface for exceptional air circulation and it carries a 3-year Warranty. TCP Easy-CareTM Mattresses are an economical pressure reduction mattress for medium to high risk prevention. Specifications: Thickness: 6", Width: 35", Lengths: 75", 80", or 84". Easy-Care Posture PerfectTM Mattress (EC2175, EC2180, EC2184) has independent "mushroom" shaped foam surface with a lowered heel section to reduce heel pressure and carries a 5-year Warranty. Easy-Care UniversalTM mattress (EC2275, EC2280, EC2284)consist of high-density HR foam with convoluted surfaces and an extra firm center core for additional support. This mattress dual-sided for even wear and longer life and carries a 6-year Warranty. Easy-Care PRTM Mattress (EC2375, EC2380, EC2384) features SupercellTM high-density HR foam, is dual-sided and carries an 8-year Warranty. The Easy-Care DSLTM Mattress (EC2475, EC2480, EC2484) is a combination of two high-density HR foams with and extra firm center core for additional support, is dual-sided and carries a 6-year Warranty. 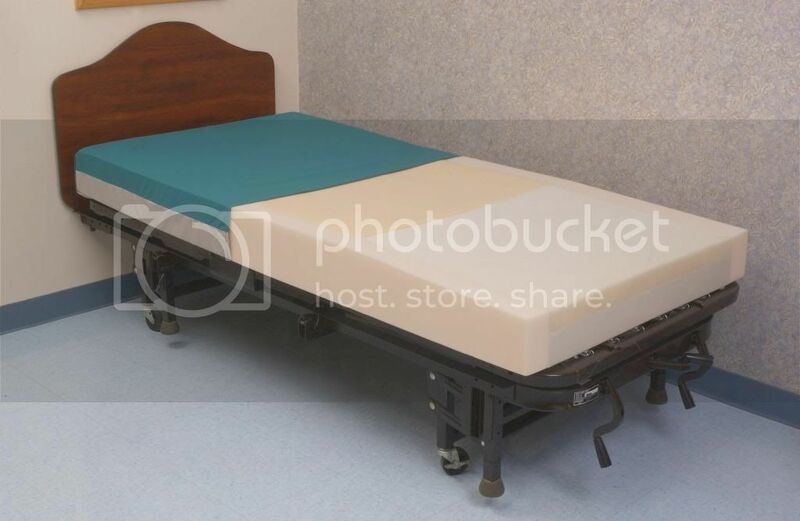 TCP Defined Perimeter Mattress features a combination of three high-density HR foam layers incorporating special pressure relieving cuts and a raised perimeter edges to help patients rest in the mattress center. Strategically located side portal facilitate transfer and patient care. 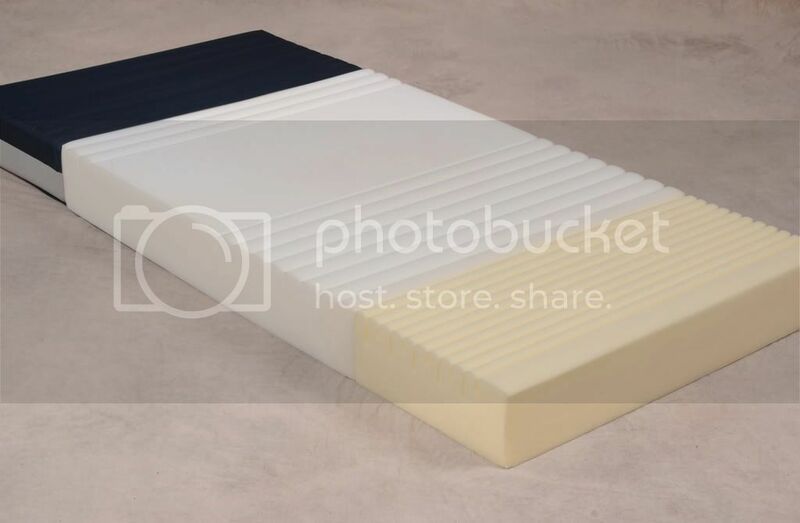 Head and heel sections have cut outs loaded with extra soft foam and incorporating cube cuts to increase conformity and pressure distribution. Elevated sides provide the greatest level of protection for most difficult patients. Standard 3" side elevation (EC2575, EC2580, & EC2584) for your lowest risk, with 6" elevation (EC2580/12) and 10" elevation (EC2580/16) for your patient who requires the greatest level of protection. Corresponding fitted sheets available. Designed to exactly fit the mattress. Carries a 5-year Warranty. Specifications: Thickness: 6", Width: 35", Lengths: 75", 80", or 84". TCP Rest-AssuredTM Mattresses: Tender Care's Rest-AssuredTM pressure-reducing mattresses combines the latest technological advances to create an exceptionally comfortable sleeping surface. That's why they're called "Rest-Assured". Features and benefits of each of the four products in this group are defined to facilitate appropriate selection. Available with raised borders by request. All Rest-AssuredTM Mattresses are backed up with a 6-year Warranty. Specifications: Thickness: 6", Width: 35", Lengths: 75", 80", or 84". 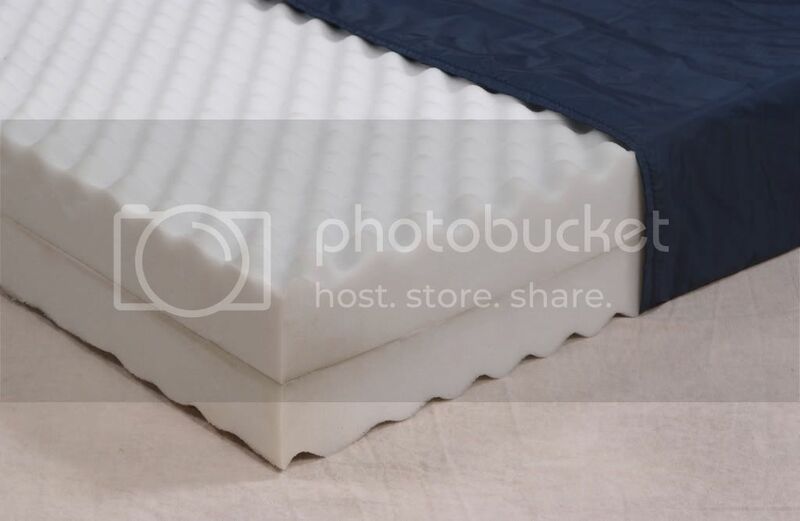 RA-AdvancedTM Mattress (RA3175, RA3180, RA3184) provides economical protection and durability. Multiple layes of high-density HR foam provide support and comfort. Convoluted center layer helps dissipates heat build up. Viscoelastic foam insert ensures exceptional heel protection. Rest-AssuredTM Premier Mattress (RA3275, RA3280, RA3284) is a masterful combination of materials and pressure-reducing channels, creates an exceptional environment for skin protection. Here's a mattress that facilitates decubitus ulcer prevention by keeping body surface pressure appropriately equalized. Key to the success of this design is the Oval ChannelTM, with it conforming cutsTM to help equalize pressure. This permits high-density HR foam to support in ways you never thought possible. 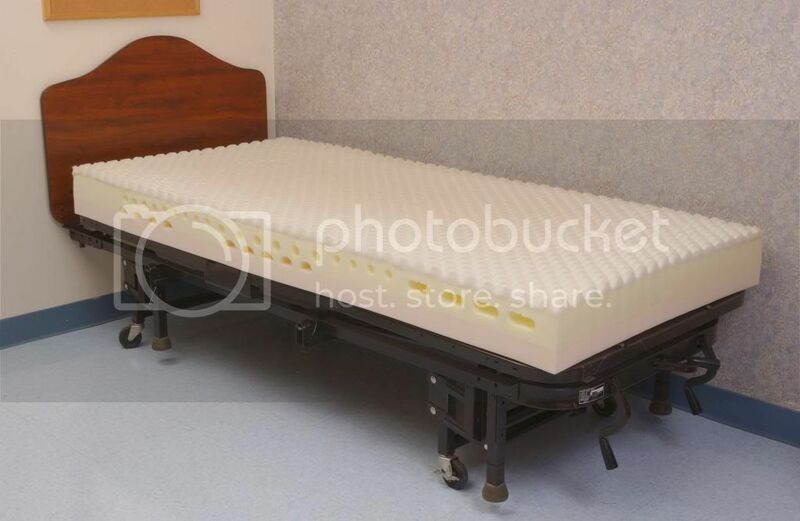 Perpendicular foam scoring within the mattress surface enables unusually effective conformity for the torso area of each user. 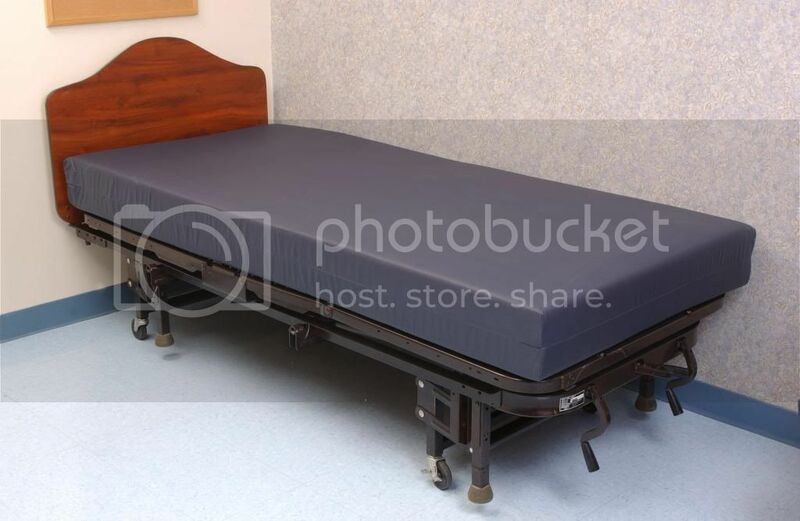 This economical mattress is a good institutional choice when your objective is to accommodate many different people, who may have fragile skin, with one mattress selection. This mattress comes with a 4-way stretch cover to reduce shear stress. 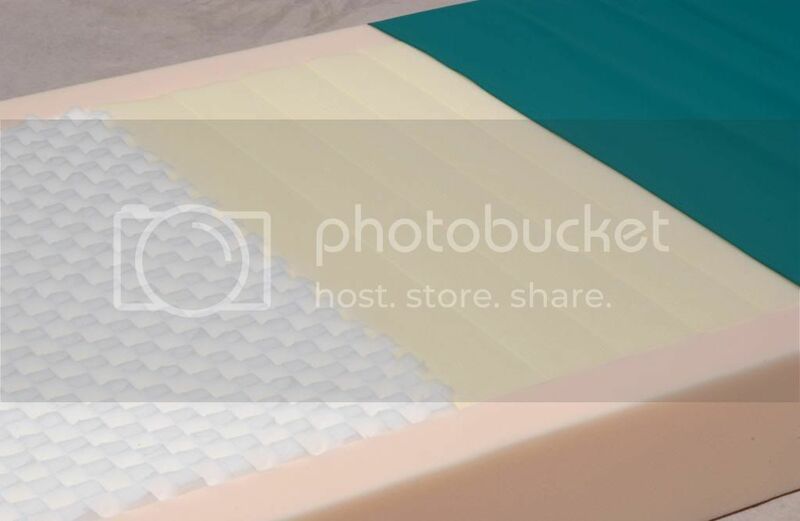 Rest-AssuredTM Viscoelastic Mattress (RA3375, RA3380, RA3384) utilizes an advanced pressure reduction design in this top-of-the-line product. 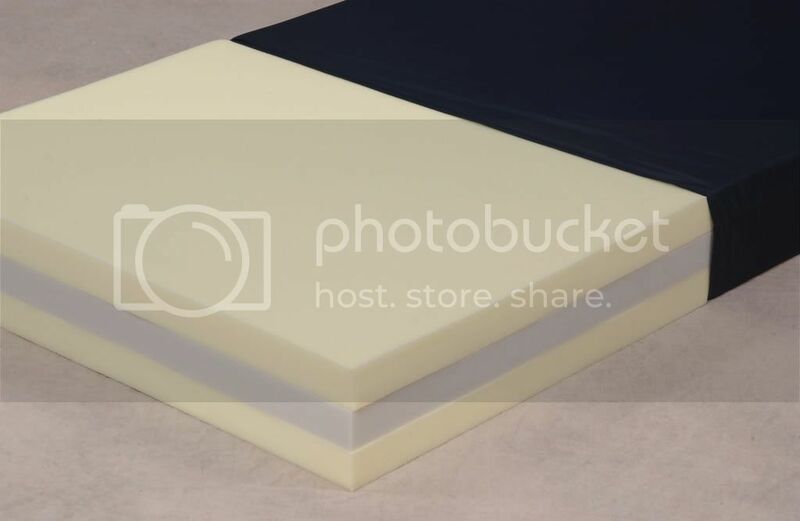 Composed of two layes of viscoelastic foam and two layers of quality, high-density HR foam. This exceptional design affords the protection of 4 inches of viscoelastic foam but without the added weight or cost. A special T-shaped insert of the viscoelastic foam provides exta protection for the scapula and coccyx. Helps reduce dangers of shear stress and skin injuries. Support borders faciltate transfer. sloped and cube cut heel section distributes weight evenly. Your patient will rest-assured in genuine comfort on the firm, effective support required for orthopedic care. Rest-AssuredTM Optimal Care Mattress (RA3475, RA3480, RA3484) supports those with back discomfort more effectively than any other mattress we manufacture. 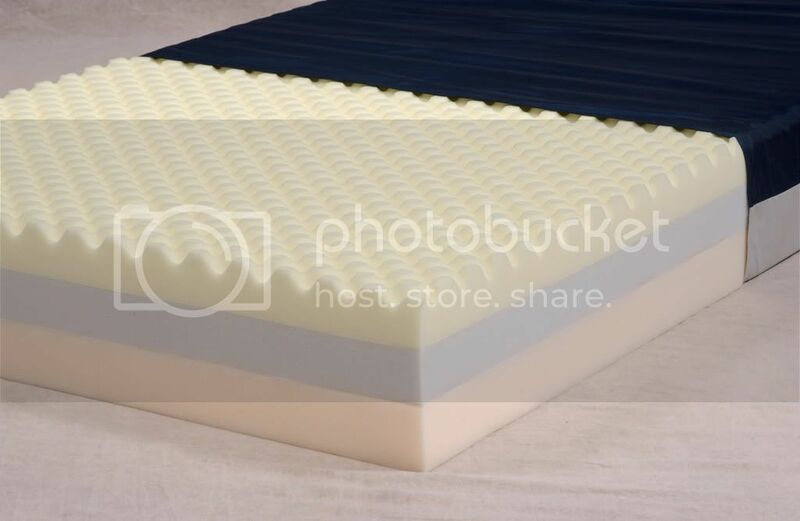 Combines channel cuts and vertical mattress incisions customize this high-density foam. Level cropped, convoluted surface ensures optimal support and effective heat deflection. Designed to accommodate users of all heights with strategically located pressure relief zones. TCP Bariatric Comfort Mattresses evenly distrubute significate weight and accommodates to the individual contours of each user. Suitable for either hospital use or home use. The patented Foam-CoilTM support system incorporates spring coils within top Quality, Cal 117 rated high-density foam. 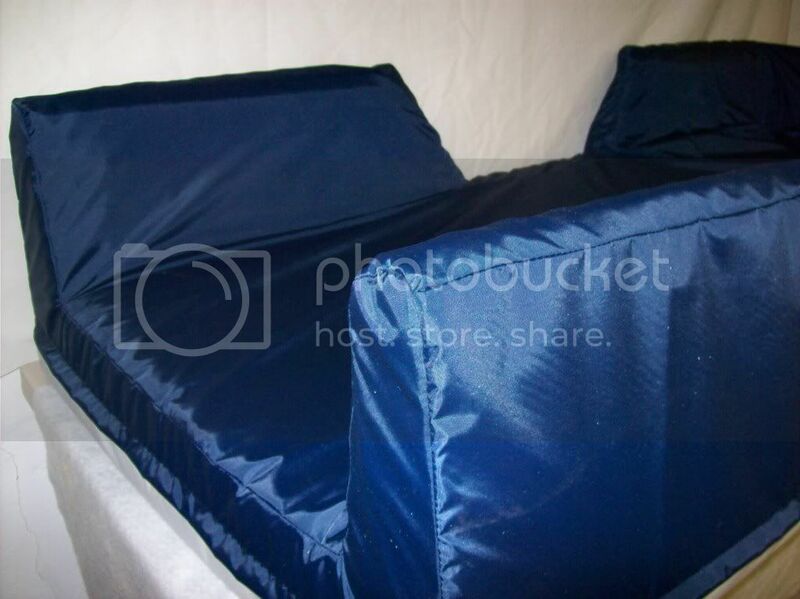 Your patients will experience exeptional support and comfortable sleeping a TCP Bariatric Comfort Mattress. 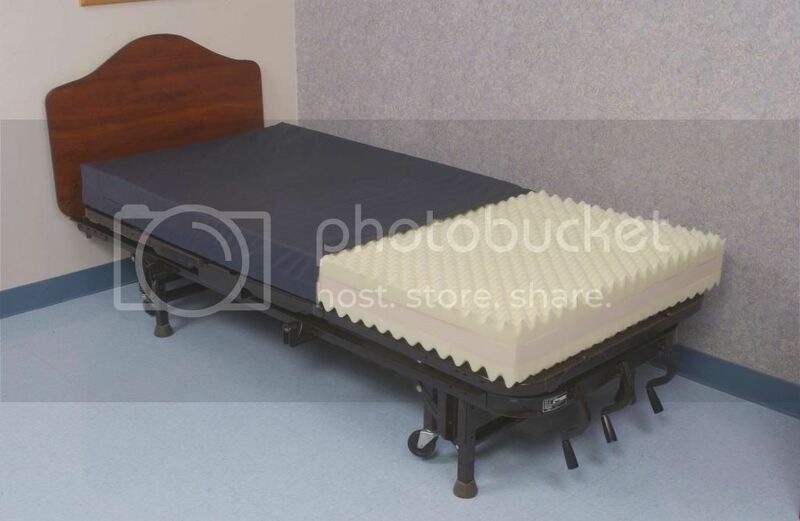 Bariatric Comfort DS Mattress (B4175, B4180, B4184) enables you to accomodate heavier patients comfortable and spares your standard mattresses from excessive wear. Dual-sided for even wear and longer life. Carries a 5-year Warranty. Specifications: Thickness: 7", Width: 35" Lengths: 75", 80" 84", Weight Capacity: 450 lbs. 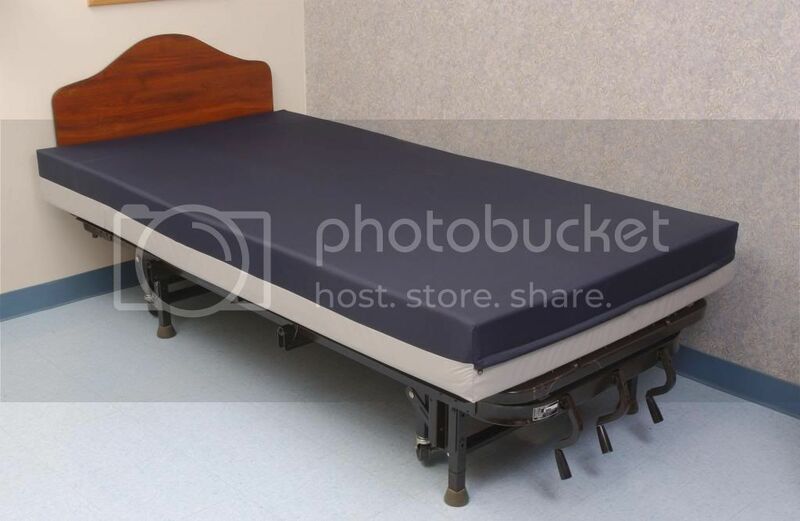 Bariatric Comfort EW Mattress provide the extra width and support neede to accomodate those who weigh from 450 - 1000 lbs. Select from five widths, 39" to 60" and three lengths, 75", 80" or 84". 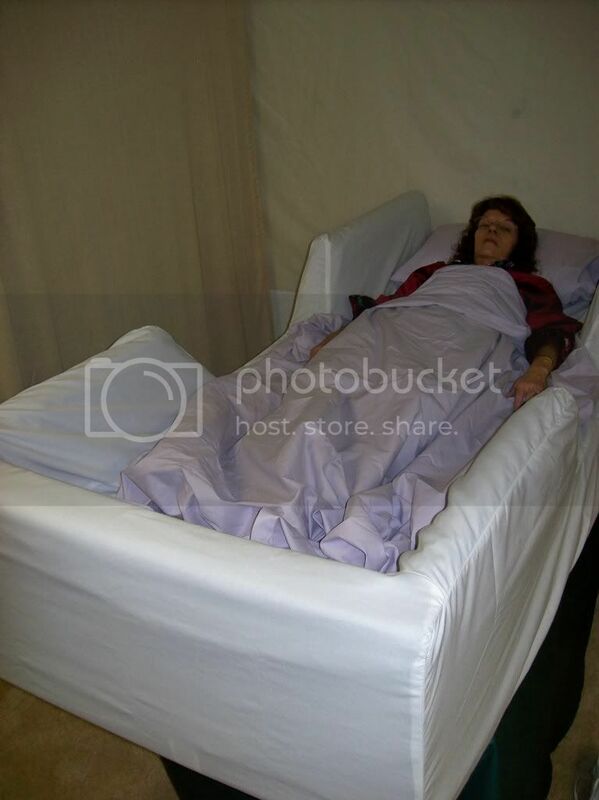 Requires use of a bariatric bed frame. Regular turning by 180 degrees will enhanced wear. Carries a 3-year Warranty. Tender Care Products uses only foam meeting the California TB 117 flammability test in our products of which includes our Mattress line. The 200 Denier Nylon and or grey vinyl used to cover the mattress is fluid proof, urine, mildew and staph resistant as well as meeting the Cal 117 fire retardancy code. The Fire Barrier covering the foam meets the new Federal mandatory fire code 16 CFR 1633. Beginning July 1, 2007 all mattresses manufactured must conform to this standard.